Since 1983, MacLeod Automotive in Welland, Ontario, has been a trusted name for professional auto service and repairs on all domestic or foreign vehicles. We stake our reputation on our friendly service, quality work, and honest value. From general maintenance to full repairs on all makes of foreign and domestic vehicles, MacLeod Automotive takes pride in all the work we do for customers. Kevin and Carrie Anne have owned this business since 2008, and continued the proud traditions set by the original owners, Willy and Bonne MacLeod, including quality work, friendly service, and affordable prices. MacLeod Automotive is a local, family owned and operated auto shop composed of a qualified team of mechanics. When you call on us, owner/operator Kevin will work with you to ensure your vehicle repair is done right and that you are properly informed of all the options available. All auto services are priced affordably and fairly. We always let you know the price of the service ahead of time, so you never have to worry about any unpleasant surprises. Our sister company, Northend Mobility, that is located on the same property, can install, service and repair accessibility equipment in your vehicle such as wheelchair and scooter lifts, driving aids and more, to ensure all customers have the freedom they need and deserve. 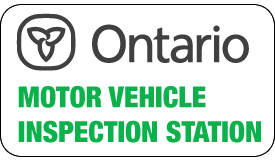 MacLeod Automotive is a MTO Certified Inspection Station. You can have the peace-of-mind knowing your vehicle is being serviced and repaired properly. The team at MacLeod is always training and learning to keep up with this ever-changing industry. MacLeod Automotive welcomes you to give us a call today to schedule your vehicle’s repair and maintenance service.